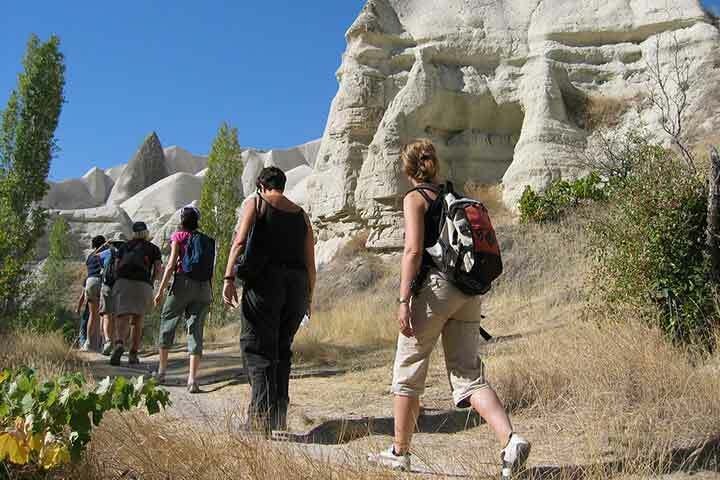 With more than 70 valleys; hiking in Cappadocia is just a great thing to enjoy traveling in the area, and it can be listed on top hikes list in Turkey which would be the same back in history. Strabo, a writer of antiquity, describes the borders of the Cappadocia Region in his 17 volume book called ''Geographika'' (Geography-Anatolia XII. XIII, XIV) written during the reign of Roman Emperor Augustus. 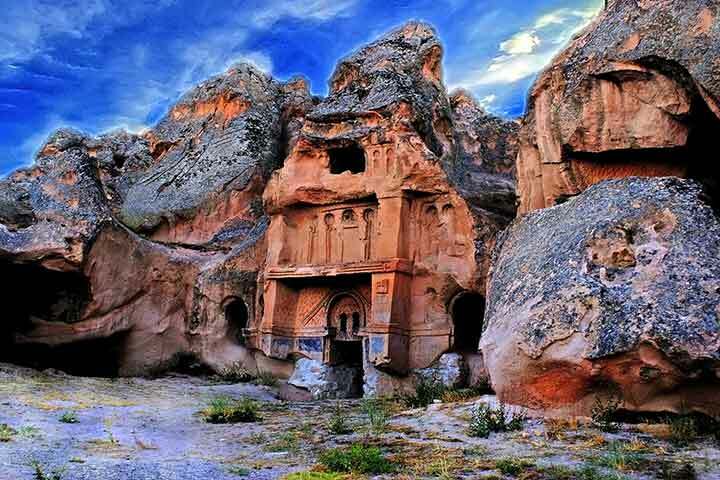 It was described as a very large area surrounded by the Taurus Mountains in the south, by Aksaray in the west, Malatya in the east and all the way up to the Black Sea coast in the north. 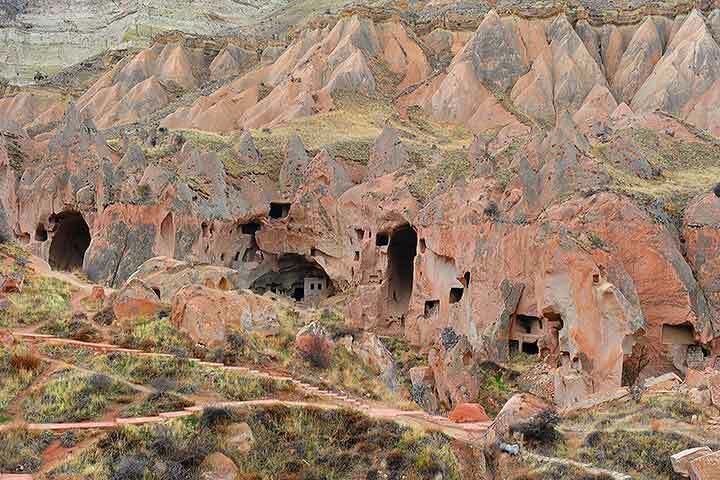 Though today, it is the area covered by the city provinces of Nevsehir, Aksaray, Nigde, Kayseri, and Kirsehir. 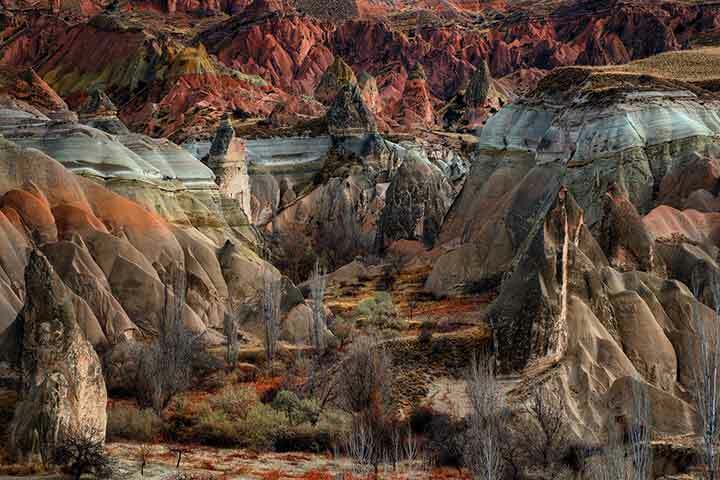 The smaller rocky region is the area around Uchisar, Goreme, Avanos, Urgup, Derinkuyu, Kaymakli, and Ihlara. Day 1 - Arrival to Istanbul, Turkey. 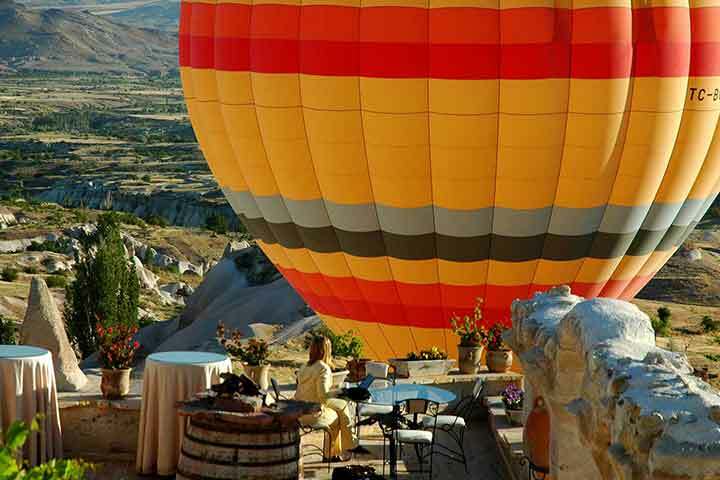 Take a direct domestic flight to Cappadocia arriving at either Nevsehir (Kapadokya) Airport or Kayseri Airport. Welcome at the airport and private transfer to your hotel. Dinner and overnight at Yusuf Yigitoglu Konagi or similar cave hotels. 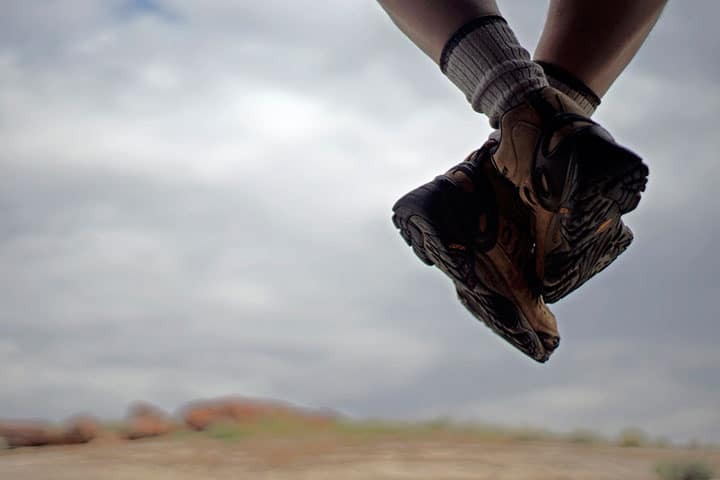 Day 2 - We will start discovering the beautiful Red & Rose Valley paths (duration of hike 3,5 hours/moderate) where you will enjoy the red & yellow color combos of these volcanic formations. After a nice break at the ruined town of Cavusin; where we will have our local lunch; head to Pasabag to have a short walk around the conical formations called “fairy chimneys.” Continue touring with Zelve Open Air Museum and Devrent (Imagination Valley) before heading back to the hotel for refreshment before dinner. Day 3 - After an optional hot-air balloon (see detailed information on the last page) ride, get back to the hotel for breakfast and refreshment. 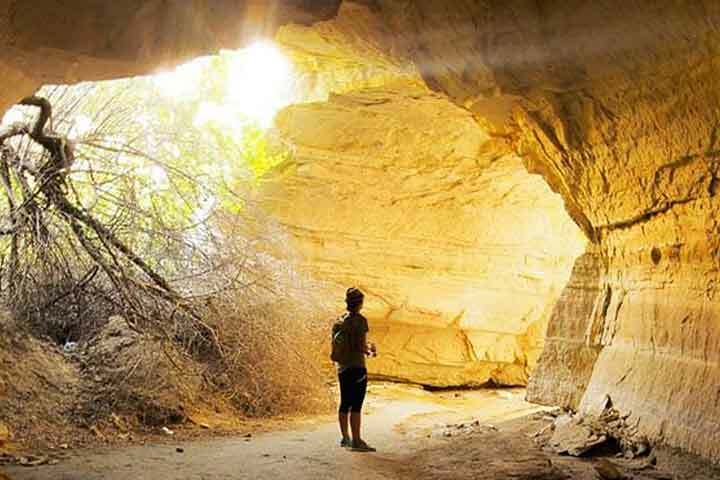 An hour drive will take us to Ihlara Gorge while you have some nap on the way. Our 14 km. 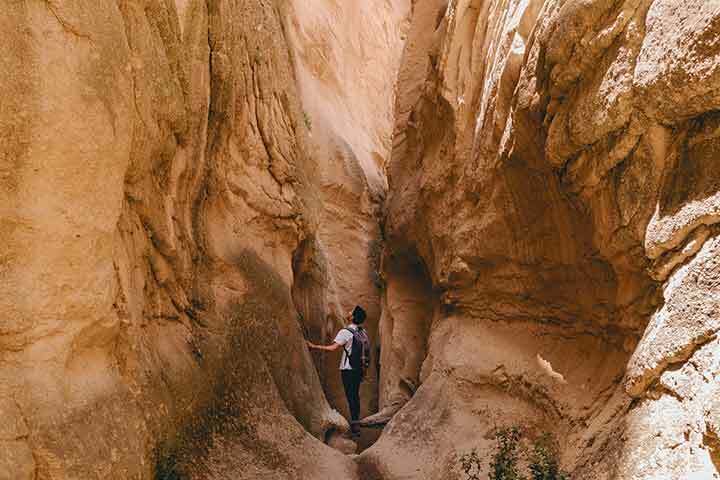 (duration of hike 6 hours/moderate) will take us into this gorge along Peristrema (Melendiz Stream) accompanied by lots of dwellings and early Christian churches along the hiking. 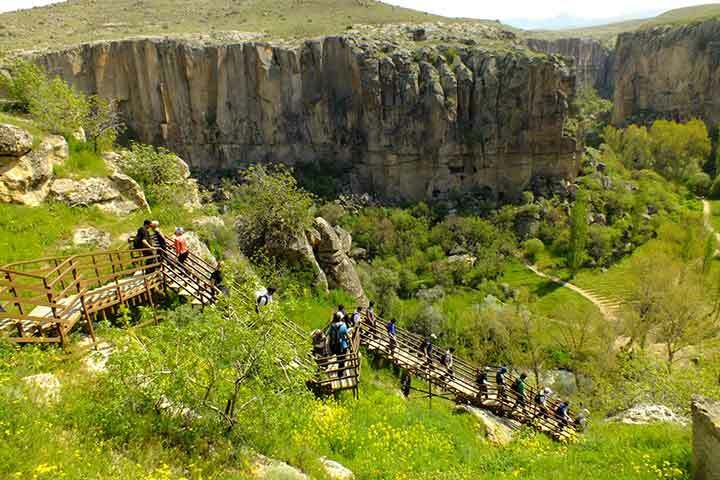 After a light picnic, we will end the hiking up by Selime Cathedral with its amazing view of the surroundings. We will head back home visiting one of the underground cities with 4 to 6 floors of shelters advantaged and developed by various civilizations using them during the invasions. 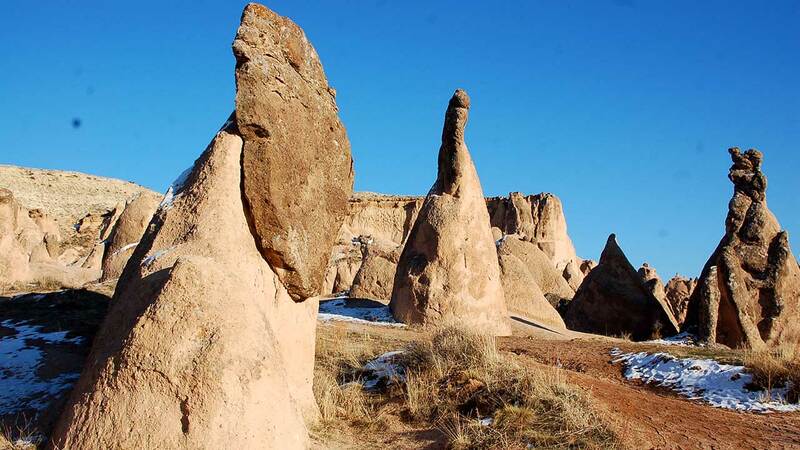 Day 5 - We have a beautiful hiking combo named as Pigeon Valley (duration of hike 4-5 hours/ moderate) got its name from the dovecots used for several purposes & Love Valley with its huge sharp column-shaped fairy chimneys (duration of hike 3 hours/semi-moderate). 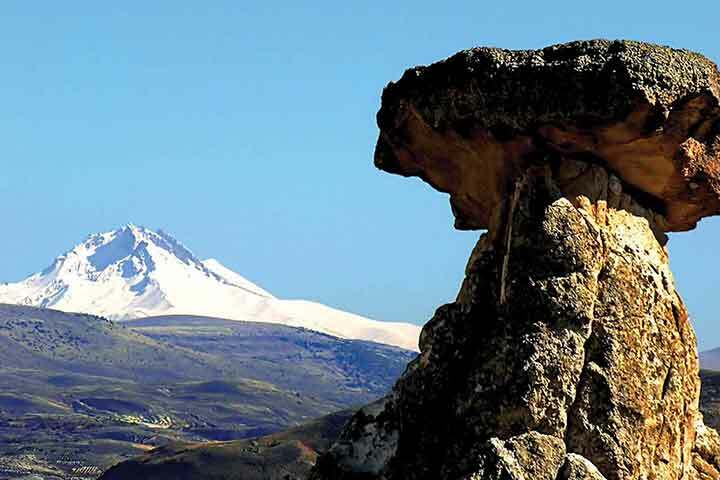 We will then enjoy a nice kebab restaurant and climb to the top Uchisar Castle to enjoy the gorgeous view. 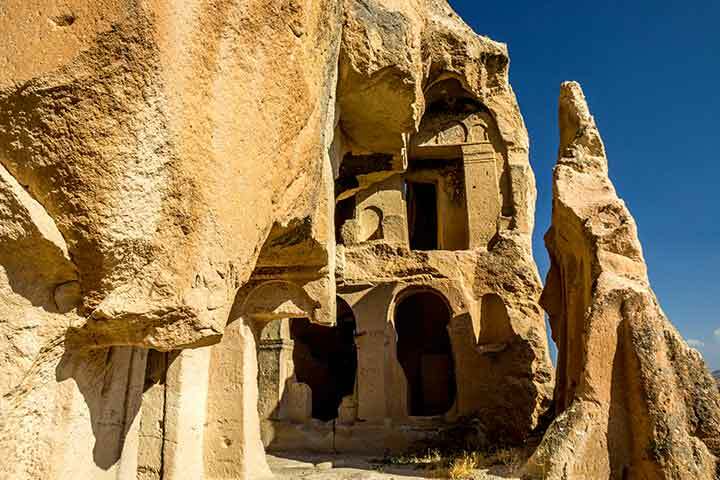 Day 6 - Another long drive down to the south of Cappadocia to visit Soganli Valley first. A short around the old town will give us a chance to get to know this part of the region closely that is surrounded by tabletop mountains. 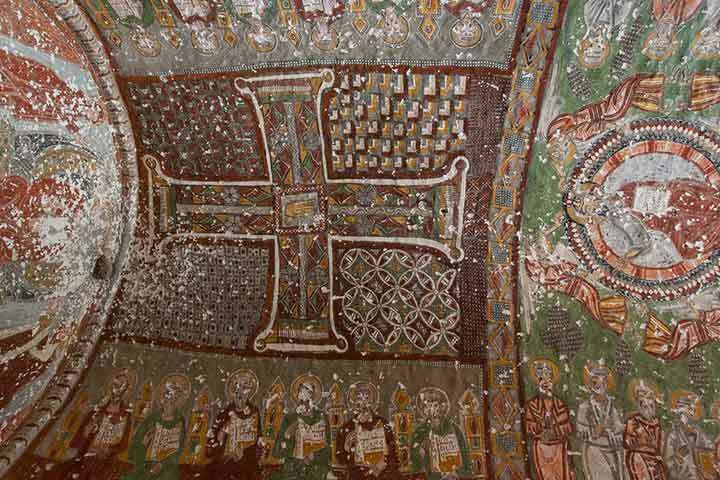 On our way to Mustafapasa; we will be visiting Sobessos, a late 4th century newly excavated site, Keslik Monastery which is one of the earliest missionary and finally get to Ayvali Village for our lunch. 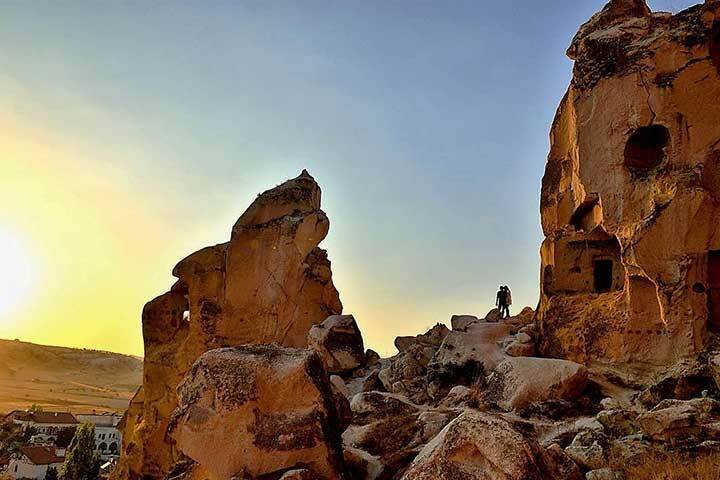 After a big meal, we will head to the trail of Gomeda (duration of hike 4 ½ hours/easy) that will take us to Ortahisar passing through more dovecots and lots of formations along the little stream. 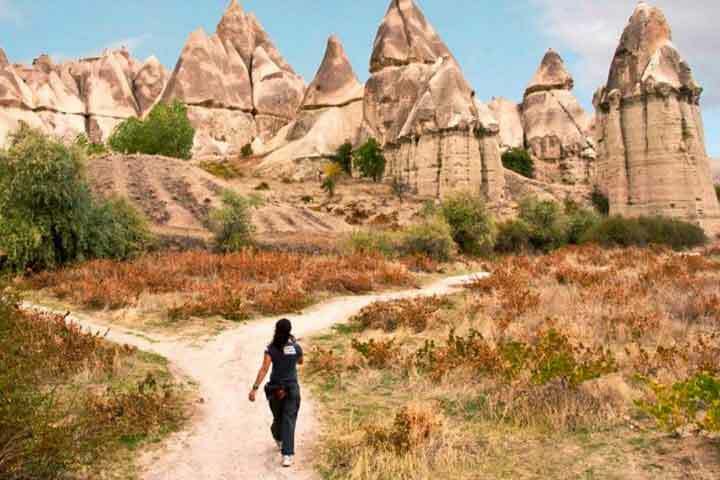 Day 7 - Another off-the-beaten adventure starting with Cat Valley (duration of hike 3 hours/easy), one of the least visited, yet one of the most beautiful valleys of Cappadocia. 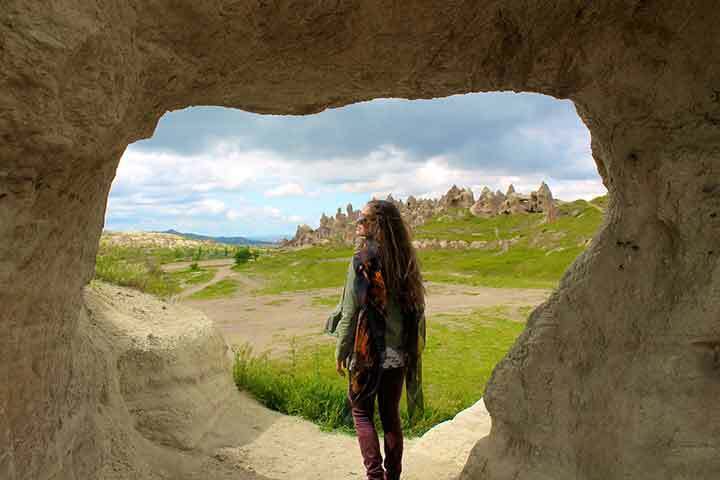 We will then head back to Open Palace in Gulsehir which is another monastic settlement comes with mushroom-capped fairy chimneys that are the only one in the region. 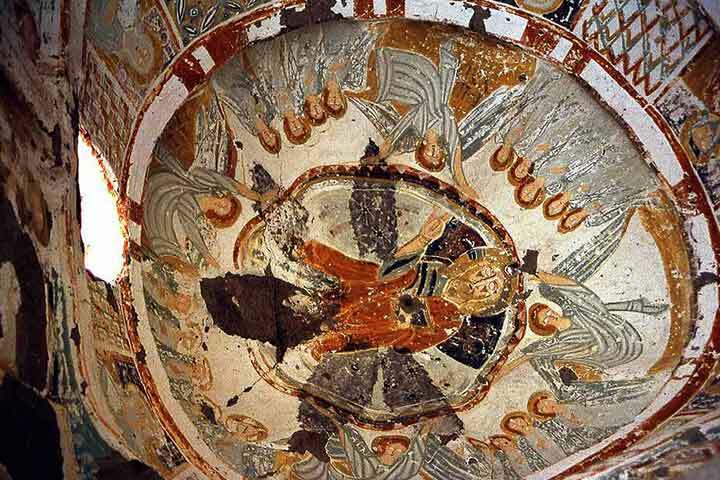 Finally, visit St. John Church with eye-catching and spectacular paintings dating back to 1212. Head back to the hotel for some refreshment before our last supper. Day 8 - Private transfer to airport for your flight back home via Istanbul. Those who would like to continue traveling in Turkey (if have not before or if there are any other destinations on the bucket list); please have a read below to see what is close by km. 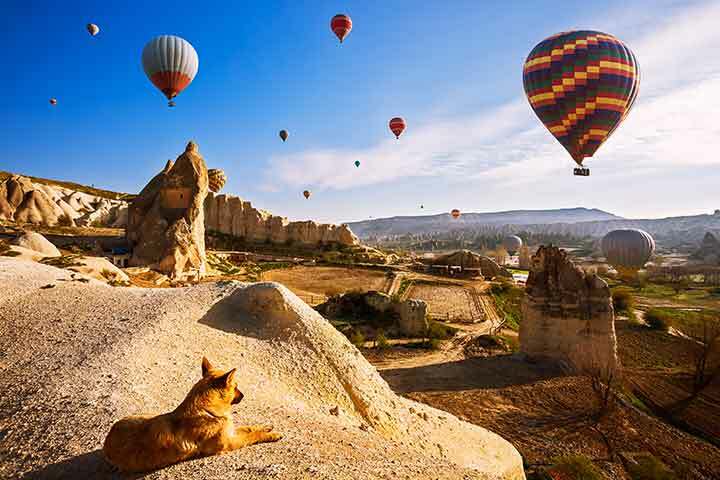 and please note that there are direct flights to Istanbul, Antalya, and Izmir from Cappadocia while rest of the destinations are also easy to get by connecting flights). The experience begins with the transfer of the passengers to the headquarters with luxury minibusses. Our passengers will have an open buffet - full catered delicious breakfast and their check-in will be made while the pilots are choosing a good launch site according to the wind directions. Once the launch site is selected, the passengers will proceed to the launch site where they will witness how the crew and the pilot unload, assemble and inflate the balloon. 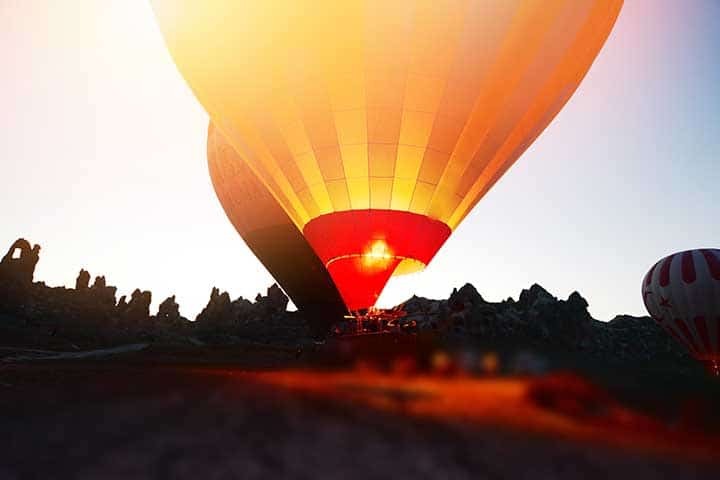 Following an introduction to the safety factors of ballooning with your pilot, your amazing experience will begin. The balloons will climb approximately 300 meters (1000 feet) during the flight. 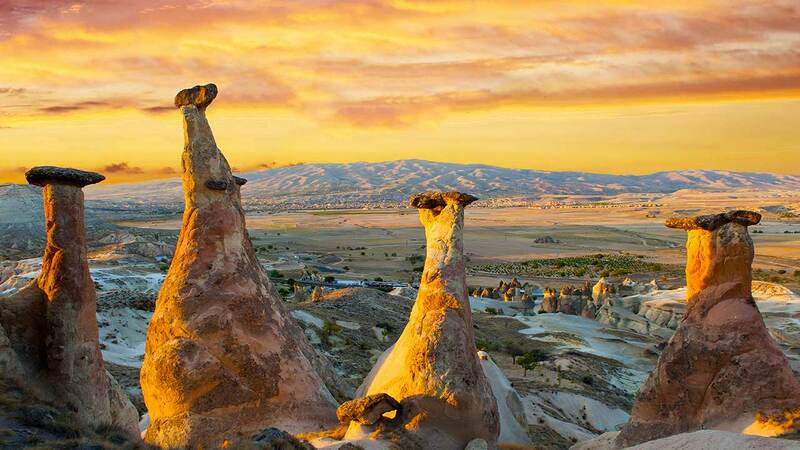 A panoramic and marvelous view will greet the passengers while drifting above the valleys and between rock formations. 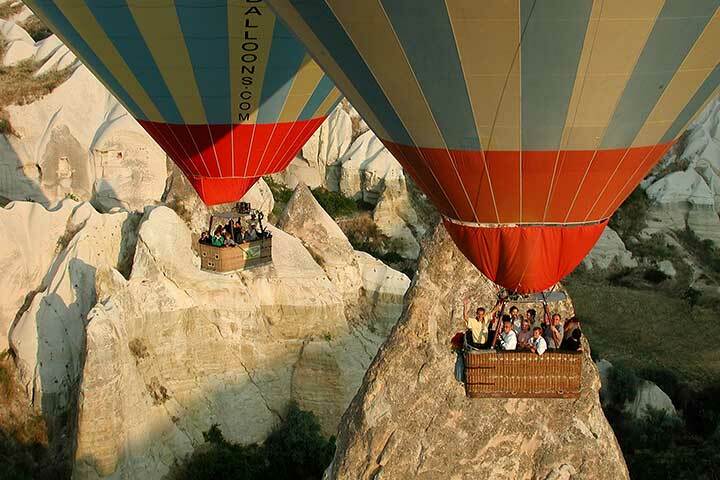 Balloons move by the wind and you will float wherever the wind takes you; so that each flight brings new and memorable experiences. Each passenger is to dress according to the temperature. Flat shoes, hat, sunglasses and of course a camera is a must. The flight presents many photo opportunities and lifetime memories to cherish. The flight will last approximately for 60/90 minutes. In keeping with ballooning tradition, our passengers are treated to a champagne ceremony upon landing by our crew. The passengers will receive a memento certificate. All our passengers are covered with insurance by Eureko Insurance Company. After the flight, our luxury minibusses will take you back to your hotel. Your entire balloon adventure lasts about 180 minutes. Sufi whirling is a form of Sama or physically active meditation which originated among Sufis, and which is still practiced by the Sufi Dervishes of the Mevlevi order. It is a customary dance performed within the Sema, or worship ceremony, through which dervishes (also called semazens) aim to reach the source of all perfection or kamala. This is sought through abandoning one's nafs, egos or personal desires, by listening to the music, focusing on God, and spinning one's body in repetitive circles, which has been seen as a symbolic imitation of planets in the Solar System orbiting the sun. As explained by Sufis. In the symbolism of the Sema ritual, the semazen hat made out of camel's hair (sikke) represents the tombstone of the ego; his wide, white skirt represents the ego's shroud. By removing his black cloak, he is spiritually reborn to the truth. At the beginning of the Sema, by holding his arms crosswise, the semazen appears to represent the number one, thus testifying to God's unity. While whirling, his arms are open: his right arm is directed to the sky, ready to receive God's beneficence; his left hand, upon which his eyes are fastened, is turned toward the earth. The Semazen conveys God's spiritual gift to those who are witnessing the Sema. Revolving from right to left around the heart, The Semazen embraces all humanity with love. Dress Code: Outdoor/Gore-tex (especially quick-dry clothing is recommended) *Comfortable dressing for dinners is recommended.